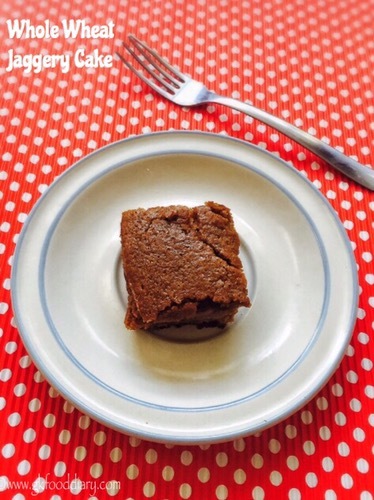 This whole wheat jaggery cake can be given to toddlers after one year to satisfy their sweet tooth. You can also check more healthy cake and muffin recipes for kids here. 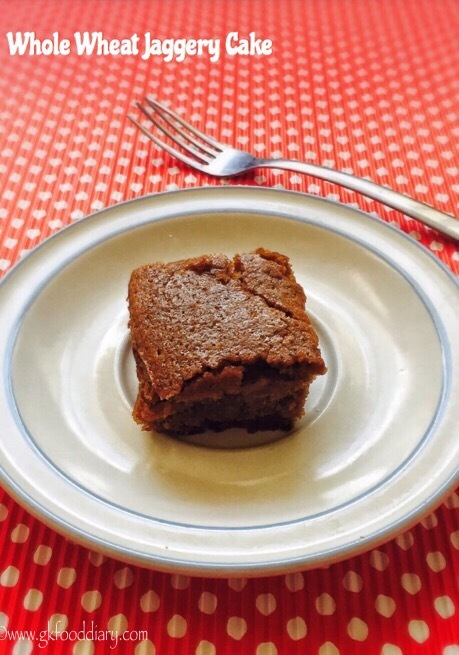 Now Let’s get on to check how to make this healthy egg-less whole wheat jaggery cake. Eggless whole wheat jaggery cake - no fuss, egg-less cake recipe with whole wheat flour, jaggery and nuts. Measure and keep all ingredients ready. 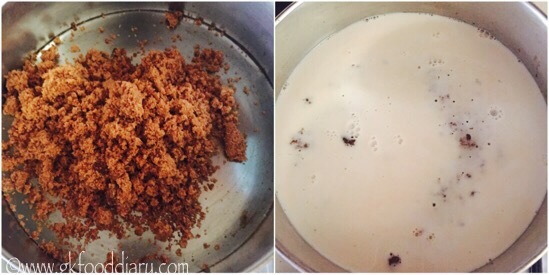 Take powdered jaggery in a mixing bowl and add milk. Now add oil and water. Then add vanilla essence. 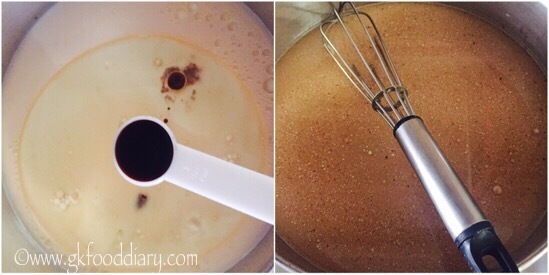 Stir it well with a hand whisk until the jaggery is completely dissolved. Make sure to mix it well so that the oil gets evenly mixed. Once the jaggery dissolved well, filter out the wet ingredients using a strainer. 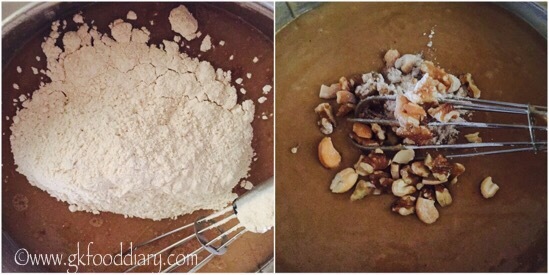 Now in a bowl, take broken nuts and dust it with ½ tbsp of flour. Set aside. 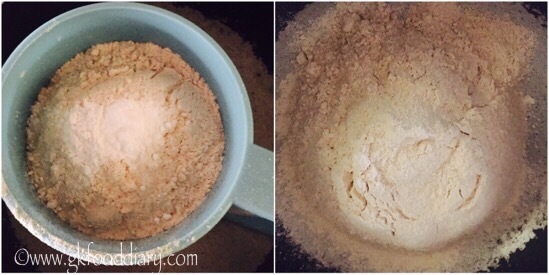 Measure and Sieve the whole wheat flour and mix well with baking soda & baking powder. Also preheat the oven to 180 degrees Celsius for 10 minutes and Dust the cake pan with 1 tbsp of oil and ½ tbsp of flour. Add the sieved dry ingredients to the wet ingredients. Gently fold everything well for 10-15 seconds. Don't over mix. The final mixture should be slightly thick. Add broken nuts and give a quick stir. 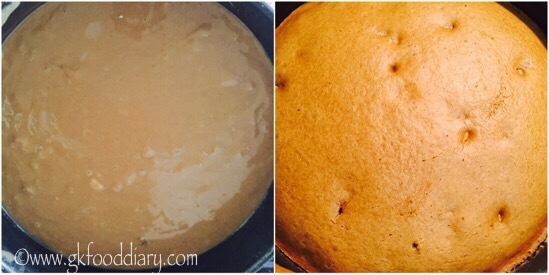 Transfer the cake mix to a round cake pan and gently tap it. Bake in the preheated oven for 30-35 minutes (baking time depends on the size of the pan and oven) at 180° Celsius till tooth pick inserted in the center comes out clean. Allow to cool in tray for 5 minutes once done. 1. Measure and keep all ingredients ready. Take powdered jaggery in a mixing bowl and add milk. 2. Now add oil followed by water. 3. Then add vanilla essence. Stir it well with a hand whisk until the jaggery is completely dissolved. Make sure to mix it well so that the oil gets evenly mixed. 4. Once the jaggery dissolved well, filter out using a strainer. 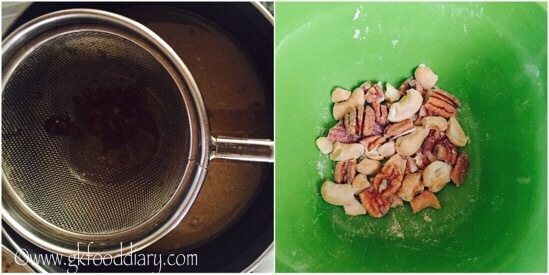 Now in a bowl, take broken nuts and dust it with 1/2 tbsp of flour. Set aside. 5. Measure and Sieve the whole wheat flour and mix well with baking soda & baking powder. Also preheat the oven to 180 degrees Celsius for 10 minutes and Dust the cake pan with 1 tbsp of oil and 1/2 tbsp of flour. 6. Add the sieved dry ingredients to the wet ingredients. Gently fold everything well for 10-15 seconds. Don’t over mix. The final mixture should be slightly thick. Add broken nuts and give a quick stir. 7. 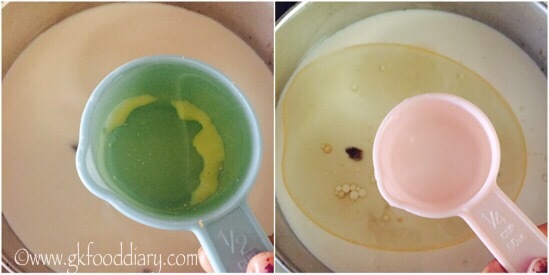 Transfer the cake mix to a round pan and gently tap it. Bake in the preheated oven for 30-35 minutes (baking time depends on the size of the pan and oven) at 180° Celsius till tooth pick inserted in the center comes out clean. Allow to cool in tray for 5 minutes once done. 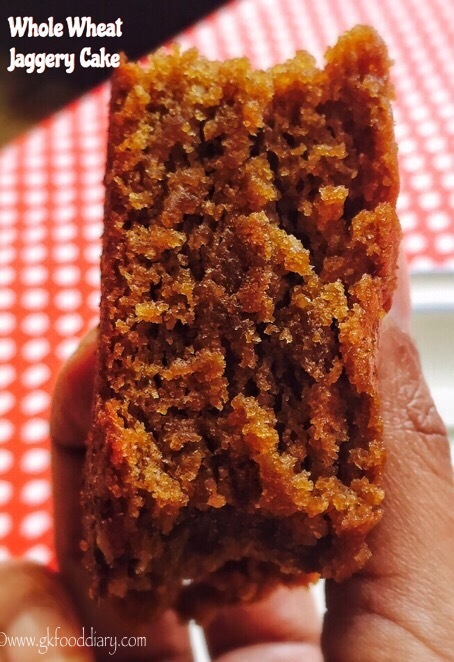 The healthy and tasty whole wheat jaggery cakes are ready to serve ! You can plus or minus the jaggery quantity after dissolving into milk. The color of the cake depends on the jaggery variety used. This whole wheat jaggery stays well for 2 days at room temperature and keeps good for 4 days if stored in refrigerator. The same recipe can be tried as muffins too the baking time may vary from 20-25 minutes. Don’t fill the cake more than 3/4 th. Otherwise it will overflow during baking. Palm jaggery is karuppati or u used vellam? Can I use sugar instead of jaggery? If yes what should be the measurement? Can this recipe made with eggs,? yes you can try add 2 eggs to this recipe along with other mentioned ingredients. Can I do this in microwave? If so, are the temperature and time same? Made this quite a few times and was tempted to eat it all by myself instead of my toddler ? Thanks a ton for adding sweetness in our lives as I will definitely keep making this for my family ? I am allergic to cow’s milk. Can I replace it with coconut milk ? Is powdered jaggery different than jaggery pieces? I have jaggery that I have cut into small pieces. Will that dissolve? powdered jaggery melts easily when you mix…if using whole jaggery, heat it with little water until its slightly thick and use..
Can I use butter instead of olive oil? If so how about the quantity? How much does your 1 cup measure? Can disbe made in cooker or steamer? If so time for baking? baking powder is a must ingredient for this cake, and am not sure about the replacement.,,choose aluminum free baking powder if you are concerned..
Can I use ghee instead of oil? I am not sure about ghee. You can try with butter. Tried this recipe today. Came out perfectly. 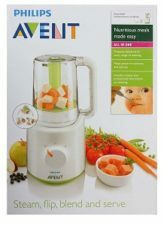 My 2.5 year old liked it a lot. Camr out quite soft and spongy. How much Butter quantity use ? ?